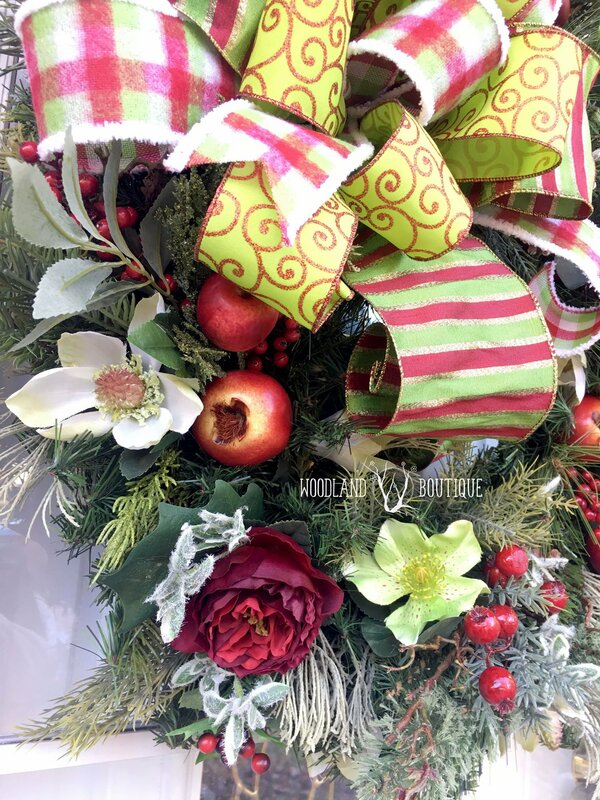 This premium wreath is a decadent size and loaded with apples, pomegranates, blooms, berries and festive ribbons. Measures over 24″ across. Here, it’s pictured on a 36″ door for scale. 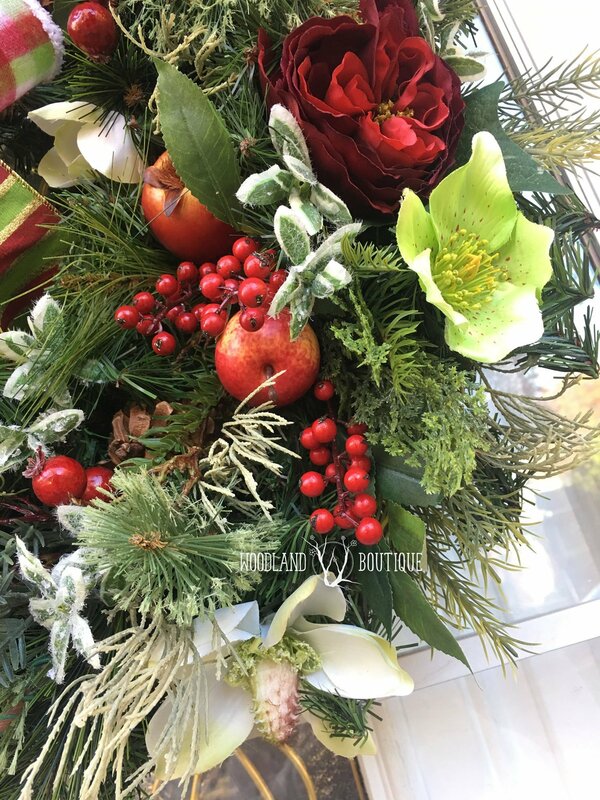 This premium wreath is a decadent size and loaded with apples, pomegranates, blooms, berries and festive ribbons. 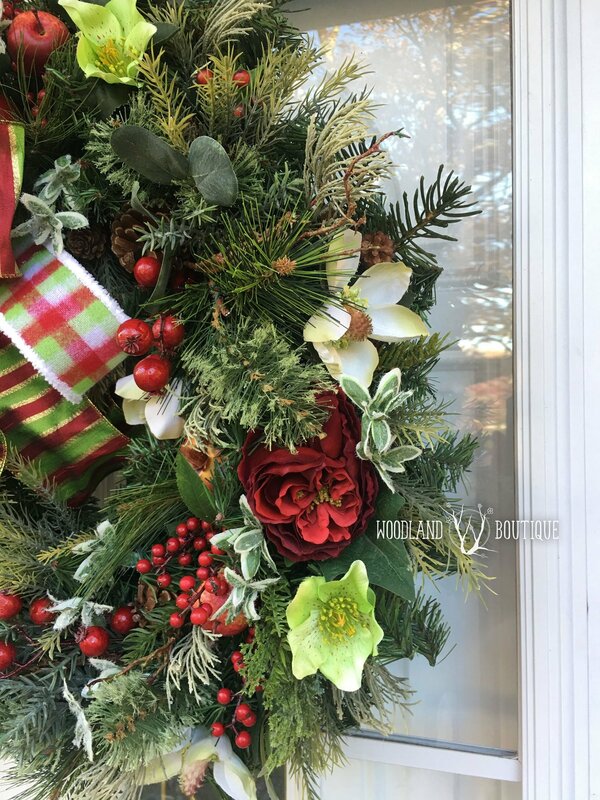 You’ll also find multiple types of lifelike evergreen boughs, roses, magnolias, hellebores, premium faux greenery (some with icy glittered accents), twigs and a hand-tied bow of faux linen, flannel & silk with accents of red, lime and gold. 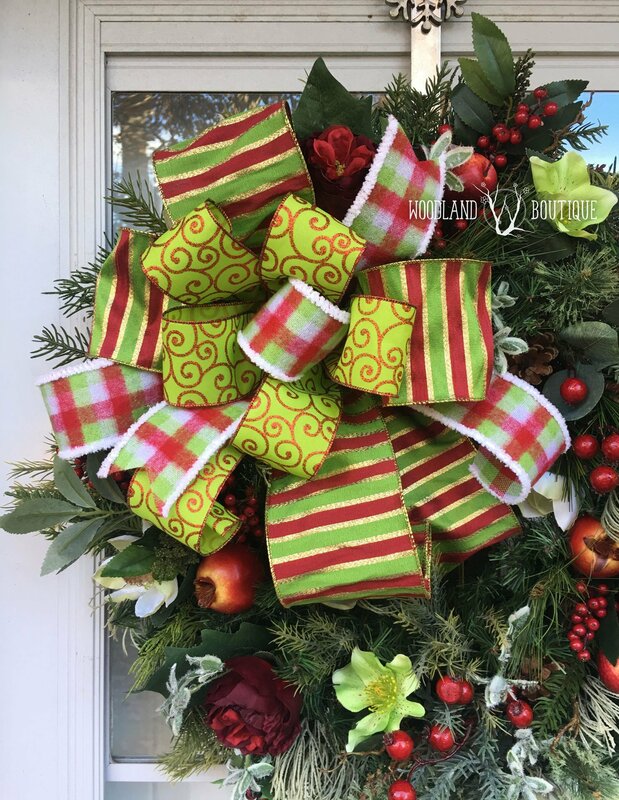 It has multi-season appeal — appropriate for greeting your thanksgiving guests, then keep it up for christmas, and even into the winter months. This wreath measures over 24″ across. 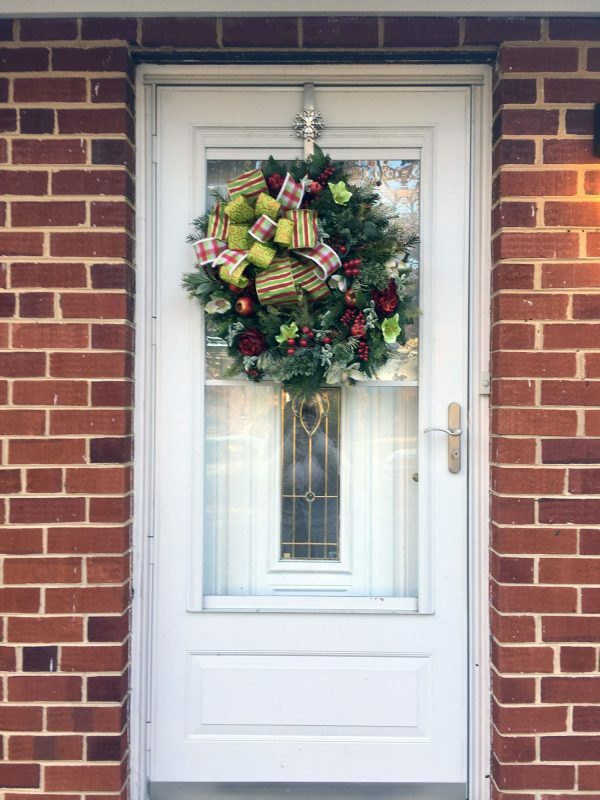 Here, it’s pictured on a 36″ door for scale (2nd picture). 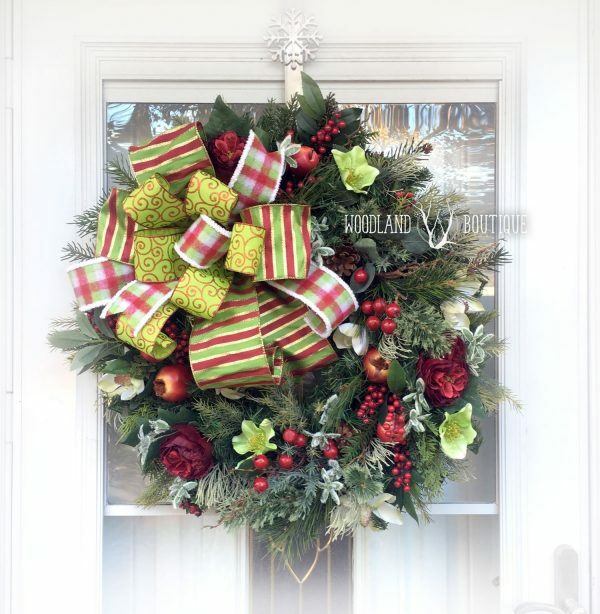 I can also make swags and centerpieces to coordinate with this — message me for details!